The cars from the Rootes Group tended to be better appointed and more suited for the US market than the cars from Triumph, MG, Austin, etc. But, despite that, they never sold as well. 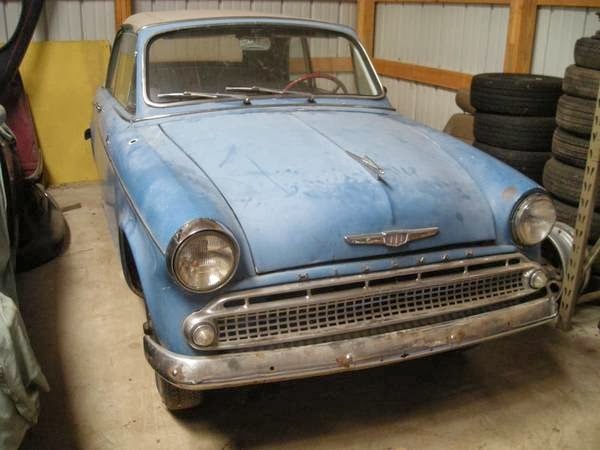 For many years Rootes Group cars received little or no respect from collectors. That has changed. 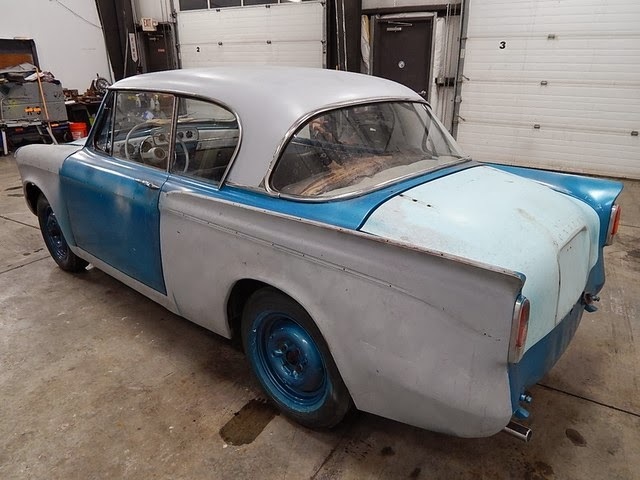 As the prices for the truly spectacular V8 Sunbeam Tiger started to climb (read: went through the roof), people started looking at "lesser" Sunbeams and Hillmans, and those prices started to climb, too. 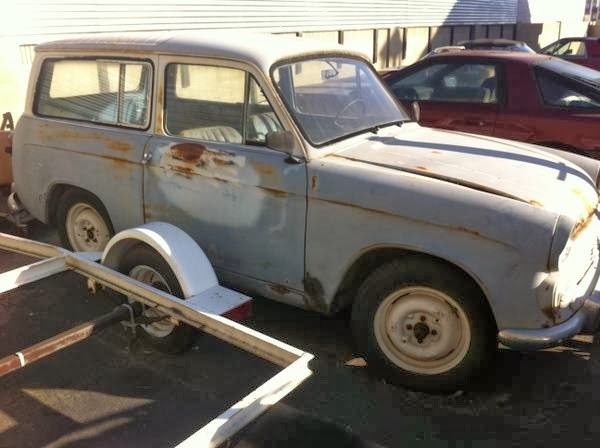 Other than having to explain to people what a Hillman is and / or putting up with Sunbeam Bread / Sunbeam household appliance jokes, there is really no downside to owning a Rootes Group car. Some parts, especially body and trim, are tough to come by, but overall, they are as reliable - or unreliable, depending on how you look at it - as any similar era British car, with rust and the Lucas electronics being the biggest problem. 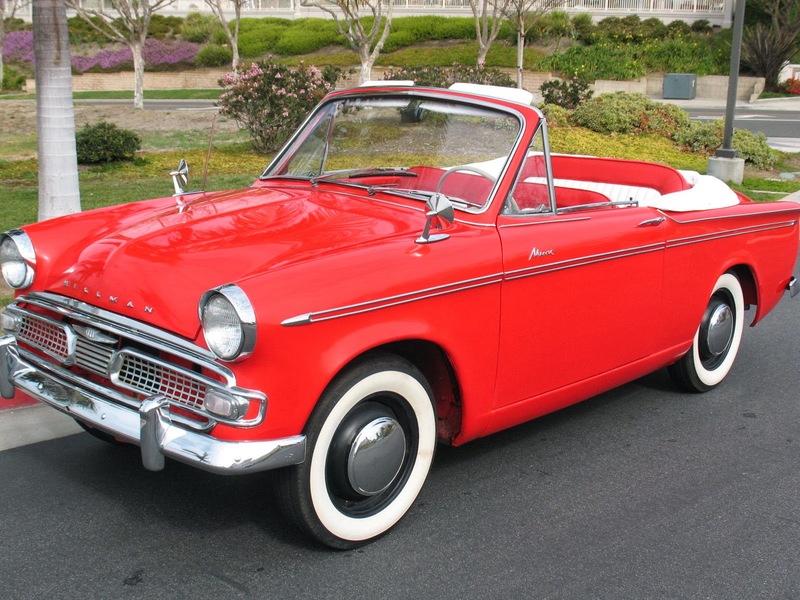 1958 Hillman Minx Convertible - The Minx was designed in part by Raymond Loewy and has a slightly American look to it. The Minx is not a fast car. It needs 20 seconds or more to reach 60 MPH. It is, however, comfortable and can cruise at 80 MPH all day long, if you have the patience to let it get there. Located in San Clemente, CA, click here to see the eBay ad. 1959 Hillman Minx Convertible - Here is a similar car for the DIY folks. It looks to be complete and in very restorable condition. The body and interior seem to be all there. These cars did have rust problems, so check the hidden areas carefully. Located in Winamac, IN, click here to see the Craigslist ad. A big thanks to Jon for sending me this link. 1964 Hillman Husky - The Hillman Husky was essentially a Hillman Minx 2 door station wagon (estate). The Husky was not a big seller in North America. They rarely turn up for sale these days. With a fresh paint job and a set of Minilite or old school mag wheels, this car would look awesome. Located in Brentley / Oakwood, CA, click here to see the Craigslist ad. Another thanks to Jon for this link. 1963 Sunbeam Rapier - The Sunbeam Rapier is based on the same ("Audax") platform as the Minx and the Husky. Being badged a "Sunbeam" means it's a little fancier and sportier than the Hillman badged cars. Someone started doing the restoration on this car and it doesn't look like it would take much to complete it. BUT, there are some parts not on the car (notably the grille and the door panels), which, if they are missing, would be tough to track down. If you're interested in this car, ask the seller if they are included with the car. Located in Derry, NH, click here to see the eBay listing. ~ goodness me! you've taken me back across near 50 years to one of my first two cars, my beloved Singer Gazelle. wish i had pictures to send to you. as you're aware the Minx and the Rapier are nearly identical.